Decorate your walls without nails or residue. 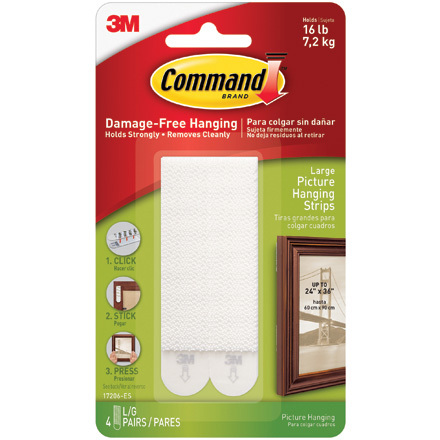 Use to hang pictures, artwork or small mirrors. Sticks securely and holds strong on most smooth surfaces. Removes clean, leaving no residue.